Approximately 3 hours 45 minutes to complete, including skills practice and skills testing. *Course Length may be shorter if you do not want the optional Child/Infant Module. 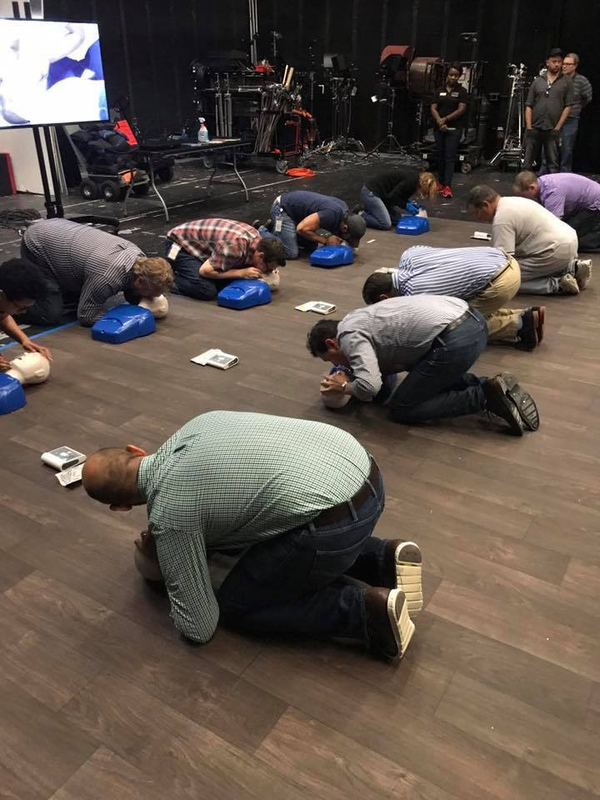 Attentive Safety CPR and Safety Training's Heartsaver First Aid CPR AED course is designed to prepare students to provide first aid, CPR, and automated external defibrillator (AED) use in a safe, timely, and effective manner. Heartsaver courses are designed to be flexible and customizable with optional modules, and are intended for anyone with little or no medical training who needs a course completion card for job, regulatory (e.g., OSHA), or other requirements. Heartsaver First Aid CPR AED can also be taken by anyone who wants to be prepared for an emergency in any setting. any others where having a workforce of trained lay responders may prove invaluable for the safety of both customers and employees. Heartsaver First Aid CPR AED is also appropriate for lay rescuers who may have a need to respond to an emergency in the workplace, and family members of patients at high risk for sudden cardiac death. ​We all take measures to prevent injuries, but accidents happen. How prepared are you to deal with medical emergencies at your job, school or home? Comprehensive and practical first aid training can give you the critical skills to respond to and manage an emergency quickly and calmly, until emergency medical services can be accessed or emergency medical personnel arrive at the scene.